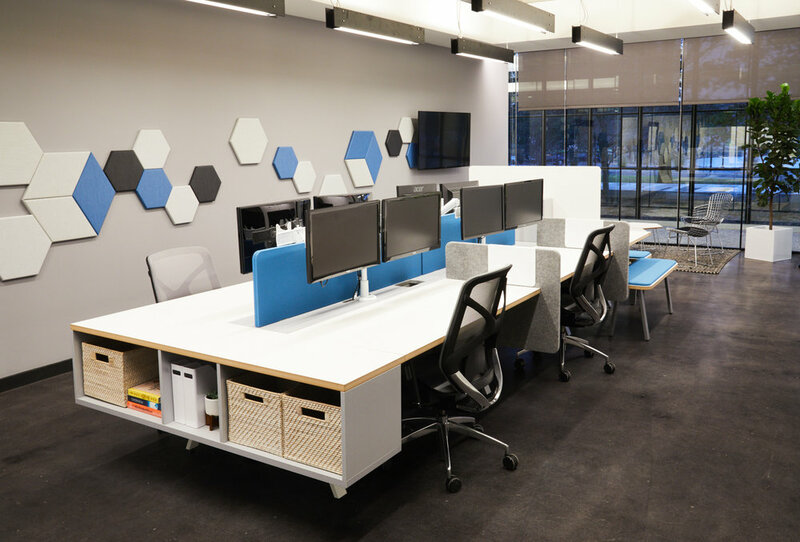 This boutique office was designed for a financial advising firm in Holmdel, NJ. 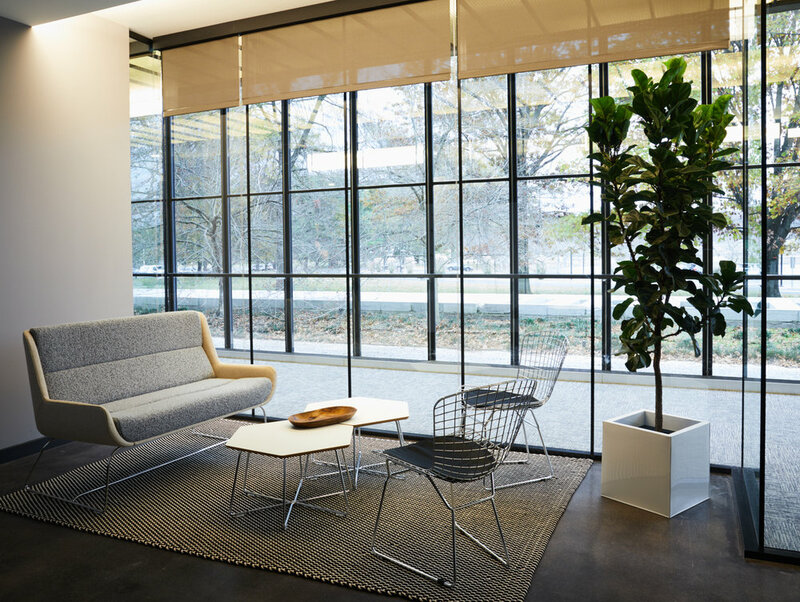 The office is located at the reimagined Bell Works, the historical home of Bell Labs designed by Eero Saarinen. 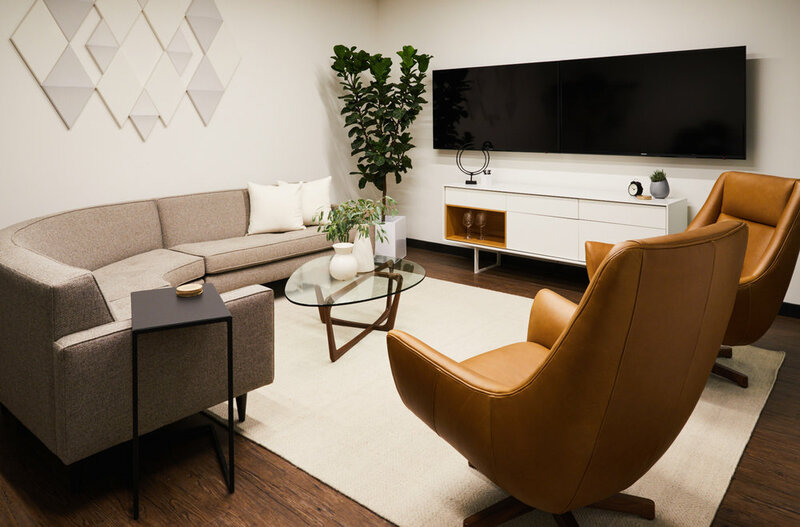 We designed a mid-century modern space to honor Saarinen, with an unconventional conference area that felt more like a family room so clients could feel at home when visiting. You can learn more about Bell Works and its history here!